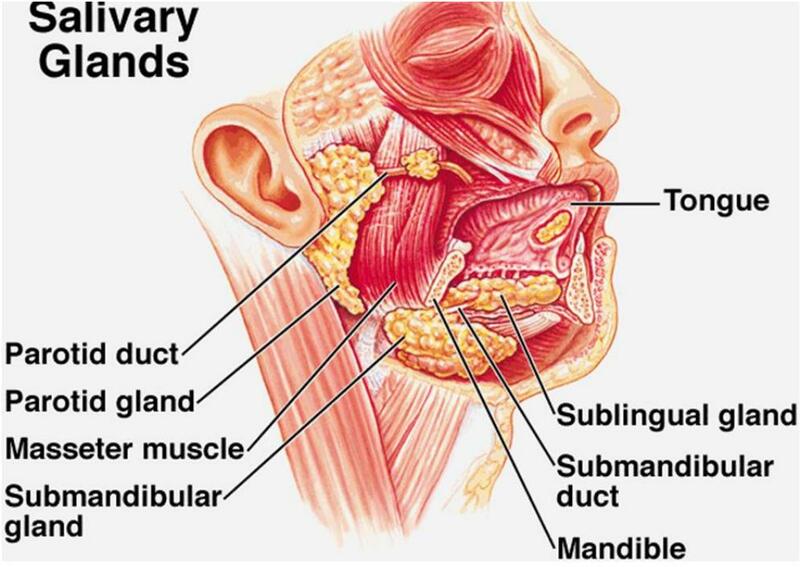 lying wedged between the mandible and sternocleidomastoid and overflowing both these bounding structures. 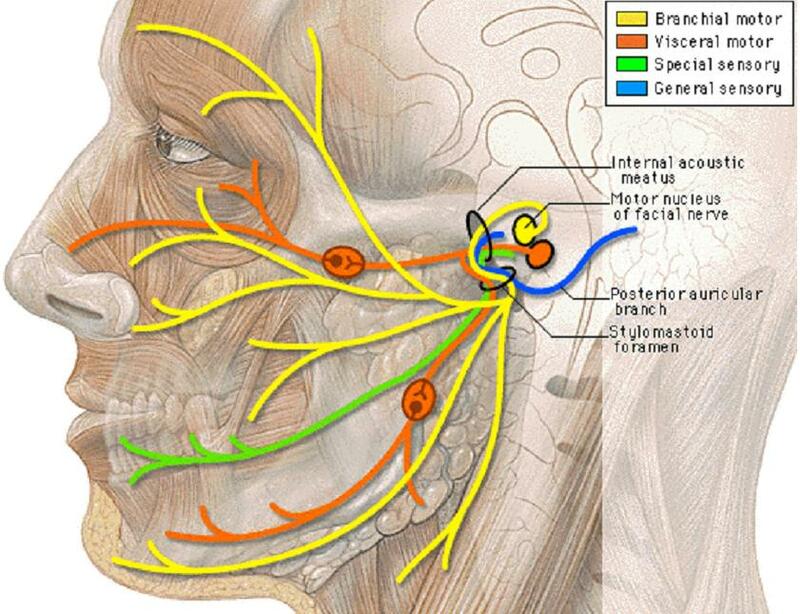 The parotid and its surrounds in a schematic horizontal section—the facial nerve is the most superficial of the structures traversing the gland. 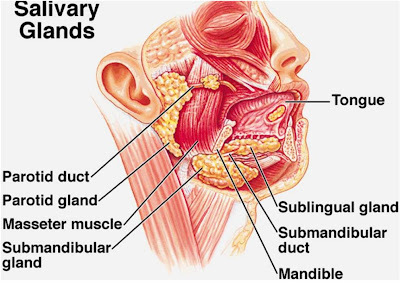 Above—lie the external auditory meatus and temporomandibular joint. Below—it overflows the posterior belly of digastric. Anteriorly—it overflows the mandible with the overlying masseter. 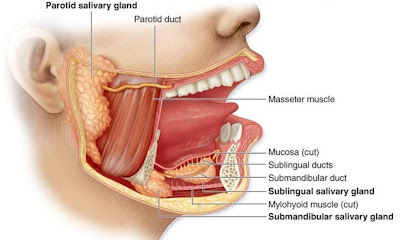 Medially —lies the styloid process and its muscles separating the parotid from the internal jugular vein, internal carotid artery, last four cranial nerves and the lateral wall of the pharynx. 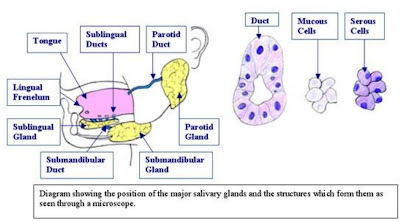 The gland itself is enclosed in a split in the investing fascia, lying both on and below which are the parotid lymph nodes. 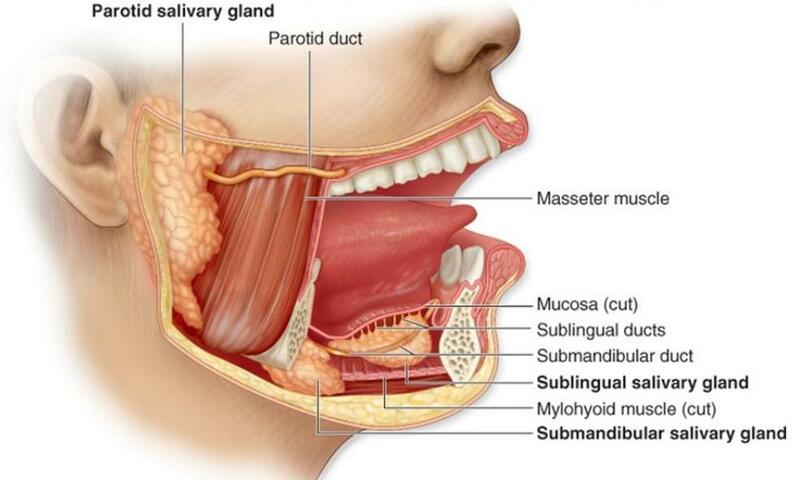 Antero-inferiorly, this parotid fascia is thickened and is the only structure separating the parotid from the submandibular gland (the stylomandibular ligament). 2. the retromandibular (posterior facial) vein, formed by the junction of the superficial temporal and maxillary veins. 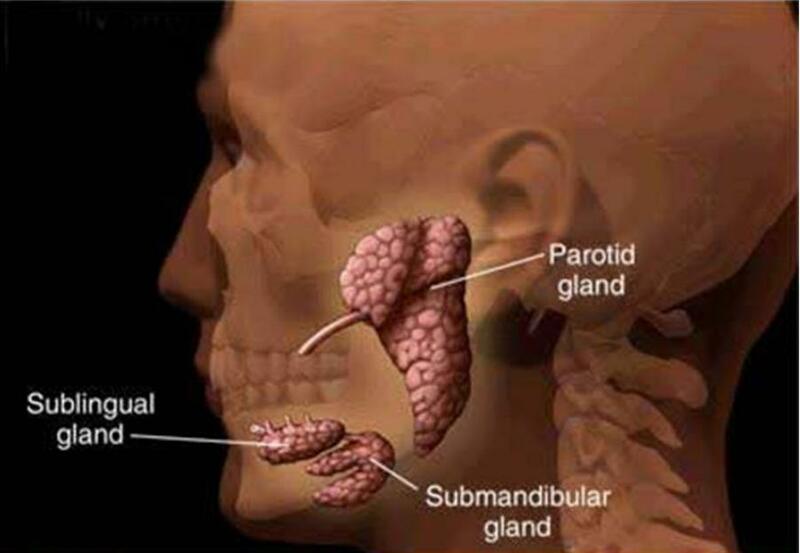 The parotid duct (of Stensen) is 2in (5cm) long. open opposite the second upper molar tooth. The duct can easily be felt by a finger rolled over the masseter if this muscle is tensedby clenching the teeth. • The facial nerve is unique in traversing the substance of a gland, a fact of considerable importance . 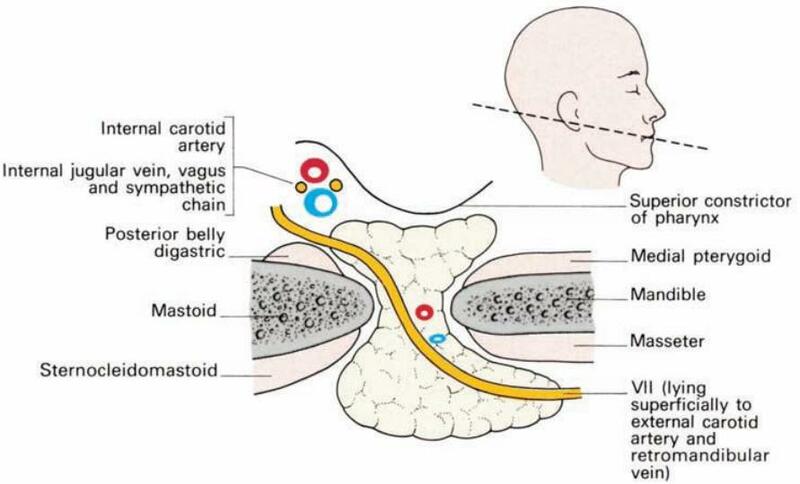 • This coexistence is explained embryologically; the parotid gland develops in the crotch formed by the two major branches of the facial nerve. 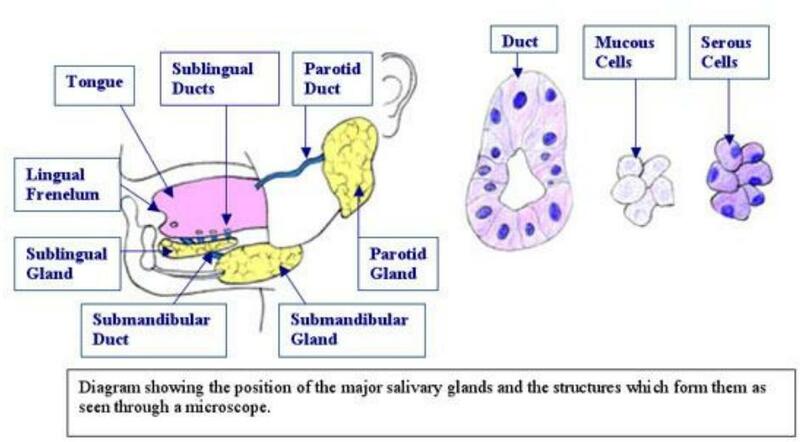 • As the gland enlarges it overlaps these nerve trunks, the superficial and deep parts fuse and the nerve comes to lie buried within the gland. 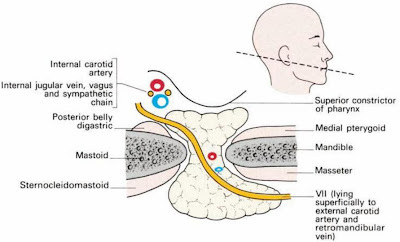 • The facial nerve emerges from the stylomastoid foramen, winds laterally to the styloid process and can then be exposed in the inverted V between the bony part of the external auditory meatus and the mastoid process. • This has a useful surface marking, the intertragic notch of the ear, which is situated directly over the facial nerve. • Just beyond this point the nerve dives into the posterior aspect of the parotid gland and bifurcates almost immediately into its two main divisions (occasionally it divides before entering the gland). • the lower division gives the buccal, mandibular and cervical branches. • The branches of the nerve then emerge on the anterior aspect of the parotid to lie on the masseter, thence to pass to the muscles of the face.